Everything Hawaii is Farish Media’s newest TV series – a statewide television program that showcases the unique, beautiful, fun and positive aspects of Hawaii and her people as captured through the lens of Hawaii’s independent video producers and filmmakers. 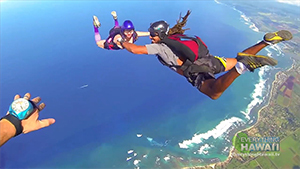 Each week you’ll discover new and different expressions of what makes Hawaii so special –from kupuna talk story to music videos, documentaries to short films, skydiving to surfing, lauhala weaving to bread making, manta rays to chameleons and so much more. Experience the unique perspectives of amateurs, students and professional videographers and filmmakers whose work you’d otherwise probably never see. Tune in to see regular contributions from filmmakers including Devin Hume of The Love Waters, Jon Spenser of ‘Eha Pictures, Matt Lovein of Holualoa Gallery, Ali Gollestani of Gollestani Imagery, Josh Lambus of The Maka Project, Matt Franklin aerial videographer, and the producers at Farish Media, Inc.
Everything Hawaii is brought to you by the television veterans at Farish Media, Inc. who have been producing local and national television programming for over 25 years. Their passion for independent production and film fueled the idea for Everything Hawaii. It’s their goal to shine a spotlight on and offer a viable venue for the work of the many talented producers right here in Hawaii. They hope you enjoy and support these creative and innovative visual artists. 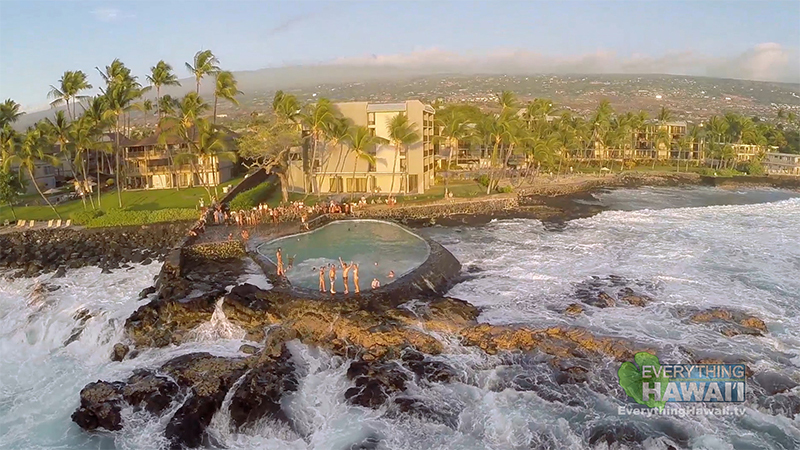 Farish Media, Inc. is owned by Mason and Regina Farish and has been based in Kailua Kona since 1994. Learn more about the program at www.EverythingHawaii.tv. Learn more about Farish Media, Inc at www.HawaiiVideo.com. Submit your videos for show consideration at www.EverythingHawaii.tv or call Regina at 808-329-1655.